The Spring 2019 issue of Otomedia Plus has a Digimon Adventure 20th Anniversary film spread. The issue (also branded as the May issue) is out April 10th. The spread includes the artwork we've seen of the characters, along with an interview with Supervisor (& original Adventure producer) Hiromi Seki and Producer Yosuke Kinoshita. 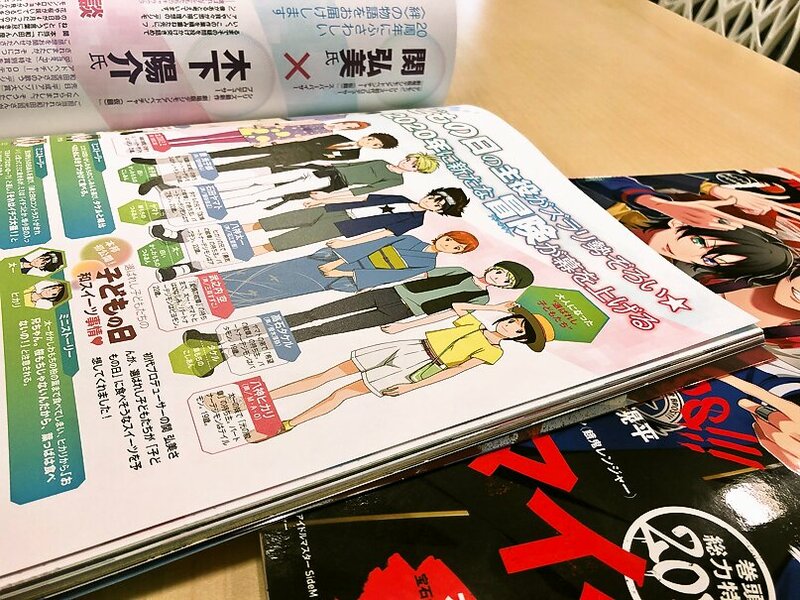 At the moment we just have a teaser image that Otomedia put out, but hopefully good quality images show up so we can see if anything new is in the text. Update- Various tweaks to the translated details thanks to onkei. The image is still small, so various details aren't fully readable yet. The larger green boxes are super short stories about characters eating their preferred mochi. Hopefully better images and more details soon. It's not like the Digimon will have updated designs or anything. Agumon won't have a new outfit or a new hairstyle. They had it, agumon was different in tri, and wargreymon too. Well, not the outfit or hairstyle, but the design or drawing style was different. Koushiro continuing to look like the real boss. They had better present him as being the person to invent cryptocurrency. This new series(/movie? I don't know what it is actually) seems to be going for something much closer to the original Adventure's art style, so the Digimon will probably look the same.